I was watching a TV advertisement about this lady who hated dandelions in her yard and had it sprayed with chemicals of the worst toxic residue so her children would not have to suffer the embarrassment of playing in such “weeds”. This is reflective of how the chemical industry has brainwashed the common good person for the past 75 years into believing that God’s most healthful herb is harmful. When this mother finds her children with numerous complaints of Pancreatic cancer, Liver disorders, Kidney and Gallbladder stones will she relate back to their childhood for the root cause of these diseases? Probably not! Go Figure! The Dandelion perennial plant has been known for centuries as a healing herb, a spring bitters tonic, a delicious herbal commercial beer, home made wine resembling the finest Sherry, and taken for health. Over 93 tiny insects seek out the first bright yellow Dandelion buds, most notably the Honey Bee which is totally dependent upon mankind in responsible “bee keeping”. When you are spraying your yard or garden, read the label and see if the chemical you use kills insects-for if it does, you are contributing to the demise of the hive; perhaps even eating tainted honey before the hive collapses. Do you raise your own bees for PURE ORGANIC honey, or do you buy it from Global sources? What are your neighbors spraying this year? Dandelion is raised commercially in the United States. For the would-be herbalists seeking an income, you can raise upwards of dried root in the amount of 1500 +lbs. per acre. 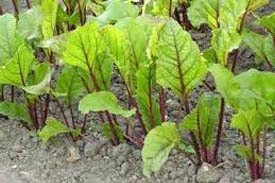 For the gardener seeking a salad green to improve health, the young leaves are torn, not cut, and lightly steamed like spinach, or used in a salad. Older leaves are too bitter. 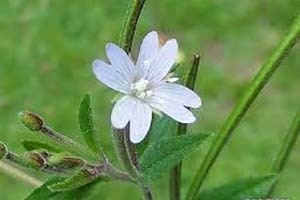 The plant, especially the root, stores about 25% of insoluble inulin-necessary for diabetics’ health. 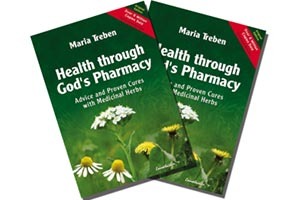 Maria Treben, noted European herbal researcher and scholar in her work: “ Health through God’s Pharmacy” (available through www.swedishbitters.com) states: “ Today I know that the fresh stems of the flower, five to six pieces, chewed daily bring swift relief in CRONIC INFLAMATION OF THE LIVER…Diabetics should eat up to 10 stems daily”. Women of yore used to use Dandelion as a beauty aid by infusing the entire plant including the root as a tea and washing the faces and eyes. ACNE may be alleviated by this application. See Vol. 1 of Mrs. M. Grieve’s “A Modern Herbal” which reflects many recipes for hepatic complaints and a detailed discussion of this wonderful herb. This two-volume set is necessary in any herbalists’ library and may be ordered, if not stocked, through the major bookstores. Richo Cech at www.horizonherbs.com may be the only source left for obtaining improved Dandelion seeds for planting-all in a row, 1-foot apart- delicious and healthful plants. The more stone free the soil leaning towards the sandy end, organics material, a sprinkle of sea weed, or kelp, a sprinkle of bone meal (for big roots) will provide a rosette of smooth, mild leaves. Note how they tend to lay flat to catch moisture and channel it directly to the center of the root wherein the flowers emerge. When the flowers change to a seed ball, gather them in a paper bag top dry. If we ever have a LOCAL SEED SAVERS EXCHANGE they will become very valuable since the government-in concert with modern agriculture/chemical/GMO seed industry are closing off these sources of Open pollinated – heritage plants. See www.JLHudsonSeeds.net for his book on the Federal government’s “white paper”, a specific plan to control our gardening future in his current catalog. See also: www.geocities.com/nowhitelist . I used to buy French developed Dandelion Seeds from http://www.nicholsgardennursery.com/index.htm for a number of years but they seem to have problems too. In any event there are wild seed varieties that you can develop yourself for health, or if you find a variety you like, save and regrow the open pollinated seed. Dandelions golden flowers used to interest my grandmother in Sweden. When I was a boy she would picks aprons full of just the flower tops when they had opened fully after a nights closing up. When they are closed up they form a resemblance to a pig’s snout, hence a rustic name for Dandelion. What Grandmother did was to make Dandelion Wine and neighbors for miles around would come to take her “cure”. She always mentioned, “…if you want a social life, offer lots of food, talk and alcohol”. Grandmothers Dandelion Recipe: (My improvements). You are first going to make an alcohol extraction in a large covered container at the ratio of 20 liters of NON chlorinated waiter (1 liter =1.06 USA quart and United Kingdom = 0.99 quart) so by my math and hand I use 5 US Gallons of NON chlorinated well water. (If you are in the city with chlorinated water let it stand for three days and the chlorination will evaporate). Here is where it gets tricky. Temperature must be warm and ideally at 20-25 degrees Celsius, that’s an average of 80 degrees Fahrenheit. In case you run into a conversion problem you can always determine Fahrenheit= Cx9/5 + 32 (multiply by 9; divide by 5; add on 32; = Fahrenheit). We place the warm five US gallons in a large 8-gallon container that has a snap over lid. We keep the water at the ideal 80 degrees F. You can purchase from your pet/fish tank store an immersion fish tank heater that can be set to keep the water temperature where you want, and at the yeasts manufacturers recommended ideal point.) If you let the water drop below 18 degree Celsius the yeast will quit working. At this point a thermometer would be indicated. Ideally we will heat the water first on the stove bring it up to a simmer, pour into the 8-gallon container and add 4.5 kilograms of sugar- that’s 2.20 US lbs. of white sugar per kilogram = in our case 11 lbs of white sugar. The hot water helps you completely dissolve the sugar into syrup. Stir and stir again until completely dissolved. White sugar works fine, is inexpensive and still available although two major US sugar companies have gone belly up (I suspect this is another reason why we are rethinking our trade embargos with Cuba who just makes sugar and we need sugar for our fast food industry). If you were using 18% alcohol yeast you can use the formula number of liters X 18% X 17 grammes of sugar. The example would be 22 liters of mash X 18% X17 grammes = 6,732 g sugar, or about 7 Kg of white sugar (That’s 1 KG = 2.20 lbs of white sugar X 7KG = a tad less than 16 lbs of white sugar. You can see the advantage of buying a scale, or hiring the neighbor ten year old to compute this for you. I bought my Bakers electronic scale (Converts everything) for about fifty dollars, and I think I can get Diane to make more bread now with an accurate scale. Just go on line and key in Bread Scales on Google. There are many companies to choose from. I am getting lost; let me back up. You have your 8 gallon container filled with 5 gallons of warm 80F syrup, you have placed the yeast of your choice- lets assume Bakers yeast, in the sugar syrup bowl to PROVE the yeast. It will start to bud out and expand into pleasant fragrant yeasty goo. After 30 minutes, or so, it is cooking along nicely and you add it to the big container of sugar syrup. Stir it in. Stir again. Now cover the container. Hopefully, we will use a snap lid, to keep out wild yeasts and dirt. One side of the airtight lid you will want to place a FERMENTOR AIR LOCK, half filled with water in a hole, or in a rubber bung, and insert into the lid. This is so the carbon dioxide gas that forms will be a pressure relief valve and keeps the oxygen from reaching the mash and killing the yeast. Super yeasts like the TURBO) Prestige 18-20% will create, for a few days, a violent bubbling and may bubble over the containers side; that is why we have five gallons in an eight-gallon container. After the bubbling rush slows down install the Fermentation air lock. Go to www.milehidistilling.com and look at items# 83327, #88206A, #86115 (Complete kit) and #83325 the ultimate yeast. At least these pictures will show you what I am talking about. As a reminder each yeast packet will have its own specifications and needs. Follow the manufacturers requirements. In Grandmother’s day she used as crock, honey, Bakers yeast (which she re-cycled. I might add once you get into fermentation you need not buy more yeasts, you just save some of the reproduced yeasts). More on this later as we explore fermentation. The problem with the old days was contamination, also not keeping the CO2 gas from the yeast reproduction as a layer above the mash. Now with this improved alcohol extraction method after the bubbling calms down you can continue with the recipe. Simmer separately dandelions flower heads-avoid stems and leaves. I usually like a strong extraction so I pick a gallon of flowers. Add to this mixture of flowers and mash the well-scrubbed rind of 4 oranges and 2 lemons, all cut up and squeezed into the mash. When cooled to 80F, add to the big mash container, gently stir in and cover. It will float to the top. Cover. That’s it. Old fashion wine like this requires ageing. So let it sit for 6 months, then siphon off, without disturbing the settlements-the lee of the tank. As the mash ages, all the flowers and rinds settle to the bottom in the yeast buds. We then siphon off into clean wine bottles; if you have no bottles you can buy them. Fortunately I buy wine from time to time; I like the Australian wines. The best of all is the French wines. I save the bottles. I buy new corks from a supplier like Eats in Blacksburg. This is important, label the bottles with the number 1, then, 2, then 3, etc. The first bottle is always the best from the very top of the fermentor. Place the siphon sucking end just at the top edge of the liquid- DO NOT plunge it into the lee. As you get to the bottom, near the lees it gets cloudier, and less visually desirable- I save that for those who need the “cure”. You can make your own labels: Go to www.freelabelmaker.com . You might want to place the fermentor up on a table so that you can “rack off:” the wine bottles. If you set it on the floor, you will have to lift 50 plus pounds up on a table, or chair, for siphoning which will disturb the lee. Plan ahead. You can legally make 200 gallons of wine for home use per year without a license or paying tax (currently). We will discuss the dandelion root later in our series when we move into tincture manufacturing for home use. For the immediate interest on ready-made tinctures go to: http://www.iherb.com/Search?kw=liquid%20singles .